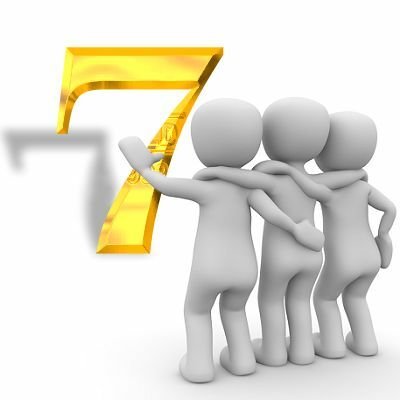 Seven is the most significant number across religions and cultures. Stop any person in the street and ask them to choose an odd number between 1 and 10. More often not, they will say the number 7. 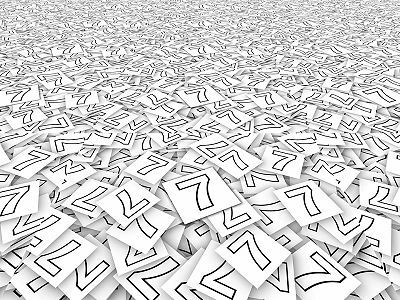 For ‘lucky 7’ is the world’s favourite number. There are seven days of the week, seven colours of the rainbow, seven notes on a musical scale, seven seas and seven continents. Snow White ran off to live with seven dwarves, there were seven brides for seven brothers, Shakespeare described the seven ages of man, Sinbad the Sailor had seven voyages. And when Ian Fleming was looking for a code for James Bond, he didn’t go for 006 or 008. 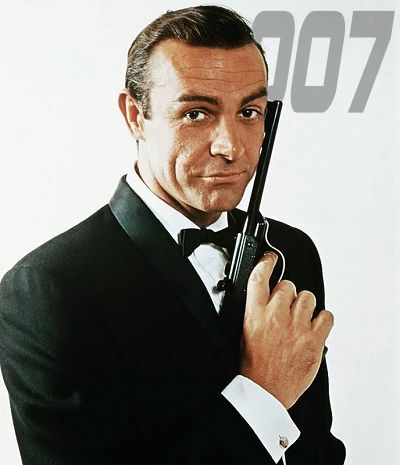 Only 007 had the right ring. Last month, a poll of 30,000 people confirmed that 7 is overwhelmingly our favourite number — with 3 in second place. A remarkable ten per cent of those surveyed gave 7 — from the infinite choice of numbers available — as their lucky number. But why do we prefer some numbers to others? What is so special about 7? And how can something as dry as a number generate such strong emotions? Our fascination with certain numbers goes back to the dawn of recorded history. For the Ancient Babylonians the most meaningful number was 60. They based their mathematics and calendar around it — and we, many centuries later, have inherited their system. That’s why an hour has 60 minutes, and a minute 60 seconds. In Ancient Egypt, 12 was considered special. In Egyptian mythology there were 12 realms of the dead. Indeed, 12 crops up throughout history — inches to a foot, pennies to a shilling, months of the year, the number of apostles. A day is split into two cycles of 12 hours. There are sensible reasons to venerate 60 and 12. Both divide neatly into halves, quarter and thirds, making them ideal units of currency and measurement. But that doesn’t explain why humans are still so hung up on 7 — a prime number that cannot neatly be divided by anything other than itself and number 1. …an emotional attachment to numbers — and 7 in particular — is surprisingly common. Favourite numbers are usually linked to birthdays, anniversaries or house numbers. But some people have the strangest reasons. When asked why she voted for 7 in the poll, one woman said: ‘It is a bit awkward; it can’t be equally divided and won’t bend to the rules so easily.’ Bellos argues that some numbers are inherently more appealing than others. Small numbers tend to be more popular than large ones, for example. We also seem to be attracted to prime numbers. We are most familiar with the numbers 1 to 10, and tend to pick our favourites from those. Most people see odd numbers as more exotic than even ones. 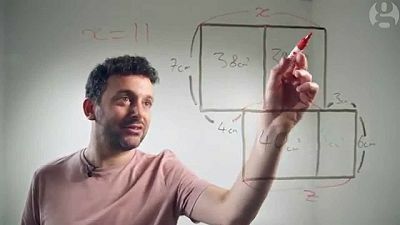 ‘Our brains see numbers and want to try to split them in two,’ says Bellos. ‘They can’t do that with odd numbers so people feel their “personalities” are different and more appealing.’ We also seem to be attracted to prime numbers. Again, the fact that we can’t divide them cleanly makes them more distinctive. So when looking for a favourite number, that makes 3, 5 and 7 the most likely candidates. But Bellos’s survey also revealed people don’t like numbers ending in 5. We are so used to rounding up numbers to the nearest multiple of 10 that numbers finishing in 5 seem oddly unsatisfactory. That knocks 5 out the running, and three — the second favourite — misses out on first place, possibly because it is just too mundane. After all, we see groups of 3 everywhere we look: traffic lights with 3 colours, sets of knives, forks and spoons, 3 hands on a clock, 3 meals a day. So the less common 7, then, takes the crown. If you don’t believe our brains behave as predictably as this, try this mind-reading test on a family member or friend. Ask them to think of a two-digit number less than 50. Tell them both the digits must be odd and different. Say that they can’t have 11 but could have 13. When psychologists tried this in experiments, more than a third chose 37. The trick works because there are actually only eight numbers someone is allowed to choose from — 13, 15, 17, 19, 31, 35, 37 and 39. And by mentioning the number 13 in the preamble, you put them off that one. But time after time, despite having 7 combinations of numbers to choose from, the lure of 7 combined with the second favourite number 3 draws people to choose 37. It’s a prime number and the most ‘exotic’. And what about the numbers we don’t like? In Alex Bellos’s poll, people could nominate any whole number they liked. The lowest number that had no nominations was 110. Bellos is unsure why. However, his research has shown people aren’t as keen on numbers ending in 0 — perhaps because we are so used to seeing numbers rounded to the nearest 10 and so it loses its distinctiveness. If numbers can be attractive, can they also be funny? Are there people for whom 88 brings a wry smile, but who’d never laugh at 50? Joseph Heller, author of the war satire Catch-22 spent ages discussing numbers with his agent before deciding that 22 was funnier than 11 or 14. Douglas Adams, the creator of A Hitchhiker’s Guide To The Galaxy, said he chose 42 as the answer to the ‘ultimate question of life, the universe and everything’ because it was an ‘ordinary, smallish number’. He was right. The joke works because the answer — worked out by the most powerful computer in existence over seven-and-a-half-million years —is a crushing anti-climax. Alex Bellos’s poll only asked people for their favourite number. But if it had asked for the number they hate, the answer would inevitably have been 13. The fear of 13 — or Triskaidekaphobia — is so widespread that one in ten people are thought to suffer from it. Many large hotels go straight from the 12th to the 14th floor. 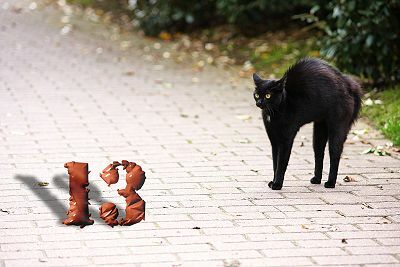 No one knows why 13 is thought to be unlucky, but there are many theories. One is that it represents Judas Iscariot, the 13th apostle, who betrayed Jesus at the Last Supper. Another is that it comes from Norse lore, where evil was introduced to the world by the mischievous god Loki at a party in Valhalla, the home of the gods. According to the legend, he was the 13th guest to arrive. The grip of 13 is so great that the risk of having a road accident goes up on Friday the 13th. Not because the day is unlucky, but because superstitious drivers tended to be more anxious — and so more accident prone. Getting hung up about numbers can also reduce your odds of winning a fortune. People who pick ‘lucky’ numbers such as 3 and 7 are just as likely to win the lottery as people who pick numbers out of the hat. But if they hit the jackpot, they have to split the cash with more winners. That’s what happened on November 14, 1995, when 133 tickets shared the £16 million prize — each winner got just £120,000. The winning numbers were 7, 17, 23, 32, 38, 42 and 48 — all popular numbers with players. There are some occasions when 7 is not so lucky after all. David Derbyshire is a reporter for MailOnline.